Lady Victoria Borwick, Member of Parliament for Kensington and former Deputy Mayor of London, was a special guest at a recent Sabbath Day service at The Church of Jesus Christ of Latter-day Saints in Hyde Park, London. The service featured a presentation by the young children aged 3 to 11, who shared in words and music the things that they had learned at church so far this year. After this special service, Lady Borwick MP was presented with her personal family history which had been researched over several weeks by the youth group of the church. These young people created an information pack that was filled with photographs, stories, copies of public records which included names, dates and places. The pack was given to Lady Borwick as a token of appreciation for her visiting the church. 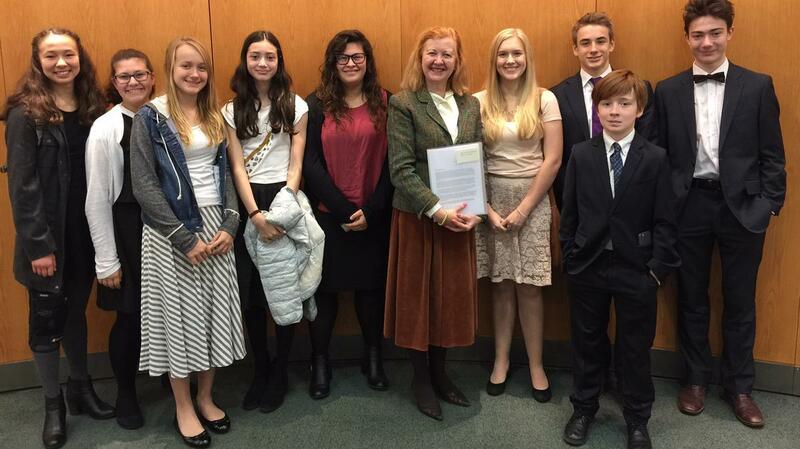 Lady Borwick commented on the hard work and effort that the young people had put into the project.